The Portland Children’s Museum is one of the best places to spend a rainy morning or afternoon with young kids in Portland. For better or for worse, the word is out, and this excellent museum can get very crowded. Before describing any of the many reasons to visit, I have to start my Portland Children’s Museum review by saying, ‘Get there early!’ Every time we stop by, we get there at opening at 9 am, and practically have the place to ourselves for about the first hour. Now, why visit? With 12 main exhibits ranging from a play grocery store, a stage with working lights, curtain, and ticket booth, workshops and multi-level climbing and play spaces, baby and toddler sections, story times and planned events, and a wonderful water play area, Portland Children’s Museum is sure to keep kids 0-12 happy, happy, happy. My own kids are starting to ‘age out’, but I’m hesitant to use that term, because on a very recent visit, our 12-year-old had a great time in both the Garage (a building and creation space using recycled materials) and in the clay studio. While kids of any age (with parental supervision) can try their hand at clay, kids do need to be 5 and up to enter the Garage (due to the use of glue guns and hammers and nails). I love the inclusion of this room to keep the attention of older kids! The layout of the museum is fairly open and free-flowing with the exception of the exhibits toward the back of the building (accessed down a hallway). If you have kids under 6, you’ll probably need to keep them on a short leash, so to speak, so as not to lose sight of them. It’s easy for kids to migrate from one section to the next as their interests dictate (which can be either a good thing and a bad thing, depending on your point of view). There’s space in the lobby to use as a ‘meet up’ place for older kids, but note that the museum’s traveling and temporary exhibits are housed off the lobby too. During our January 2014 visit, I was lucky enough to get a sneak peak of the new Outdoor Adventure, to open in April 2014. This inviting outdoor space lies adjacent to the museum, and encompasses the downhill slope around to the back of the building. With trees, rocks, trails, and a creek water feature, this space is dedicated to outdoor play…with unlimited options. It warmed my nature-loving heart to hear that the creative team behind the space understood the importance of keeping this area largely under-developed, allowing kids freedom of exploration. While switchback trails do exist up the slope, kids are not restricted to them, and the water feature is meant to be played in, around, and through. A covered wooden group space and amphitheater sits at the bottom of the outdoor space, and at top, digging space and a toddler space will sit adjacent to parent sitting and observing areas. The museum will provide rubber boots and other outdoor gear for play in any season, thanks to local gear donations. If you have a membership to another NW science or children’s museum, it’s likely good for admission for four. Be sure to bring your membership card with you and ask! The museum cafe is located in the lobby, and offers very healthy fare for kids and adults, from soups, salads, wraps, and organic snacks. 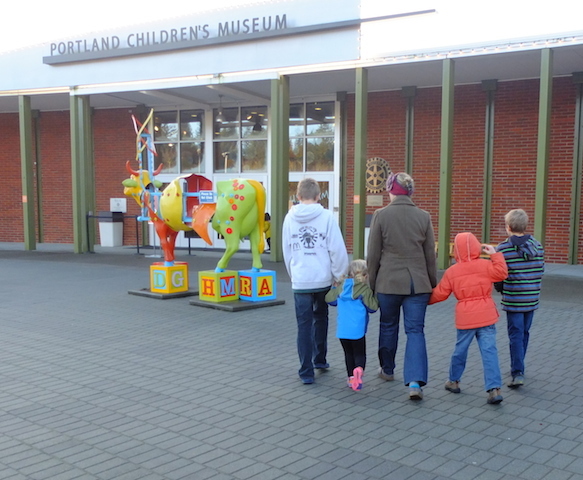 The Portland Children’s Museum is located in Washington Park, easily accessed by car or MAX. The address is 4015 SW Canyon Road, Portland. Disclosure: As I disclose whenever applicable, we visited the children’s museum as guests of the museum, for the purpose of review. All opinions are our own. lol. So allow me to rewrd this…. Thanks for the meal!! But yeah, thanks for spending soje time to talk about this issue here on your site. 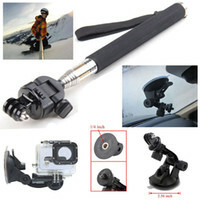 A desighn like yours with a few simple tweewks would really make my blog shine.